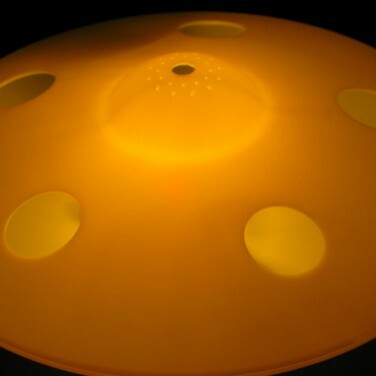 A unique and very cool looking lamp that is in the shape of a UFO flying saucer, a brilliant mood light to light up bedrooms, living rooms and kitchens. Fitted with a very bright bulb this lamp will truely stand out more than other normal lamps. 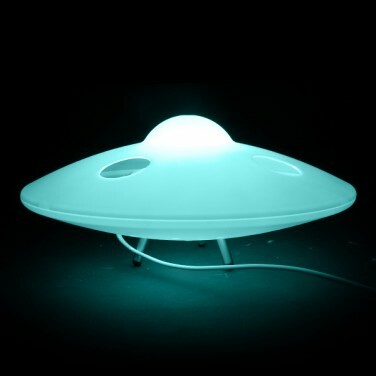 The UFO Lamp is available in two styles, Bright White or Soothing Blue, a fantastic mood lighting to place anywhere around the home or even to use as a bedside lamp for reading or as a night light! 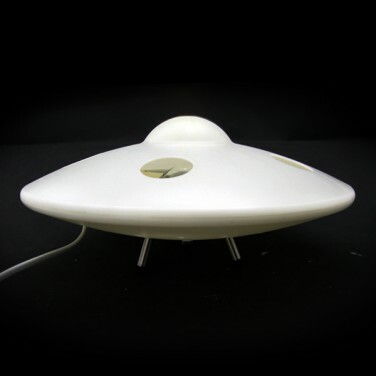 * Plastic UFO shaped lamp that screams attention. * Great for a bed side lamp. * Available in White and Blue. * Uses a E14 Max 40Watt bulb (included). * Size: 32cm diameter x 17cm height.